Avendus Capital advises Monarch Catalyst on its sale to Evonik Industries AG. 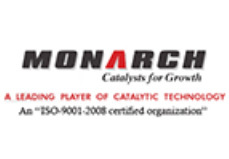 German chemical behemoth Evonik Industries AG (“Evonik”) has agreed to acquire Mumbai based catalyst manufacturer Monarch Catalyst Pvt. Ltd. (“Monarch”) for an undisclosed consideration. The transaction is expected to close in the first half of 2015 after the necessary approvals have been received. The acquisition is part of Evonik’s strategy to strengthen its global catalysts business and is expected to complement its leadership position in the activated base metal catalysts and precious metal catalysts space. “This proposed acquisition continues the trend of global companies looking to acquire high quality businesses with leadership positions in their respective segments within the overall specialty chemicals space’’ added, Preet Mohan Singh, Executive Director & Head Industrials Group, Avendus Capital Pvt . Ltd.
Monarch is a family owned enterprise founded in 1973 by Dr K Muthukumar and Shantibhai Vadalia with its production site in Dombivli / India, near Mumbai. It is recognized as a global catalyst supplier and respected for its consciousness and efficient use of resources.